What do we turn to for both everyday sustenance and seasonal celebration? Food. Often, though, we’re like the hungry ghosts of Taoist lore, eating mindlessly, wandering aimlessly, and wanting more — more than food itself can provide. 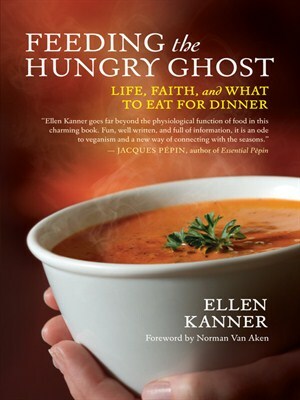 Ellen Kanner believes that if we put in a little thought and preparation, every meal can feed not only our bodies but our souls and our communities as well. Warm, wicked, and one-of-a-kind, Kanner offers an irreverent approach to bringing reverence into daily living — and eating. Feeding the Hungry Ghost will challenge you to decide: keep reading or start cooking?